18th century. Still no Village Royal in that era! 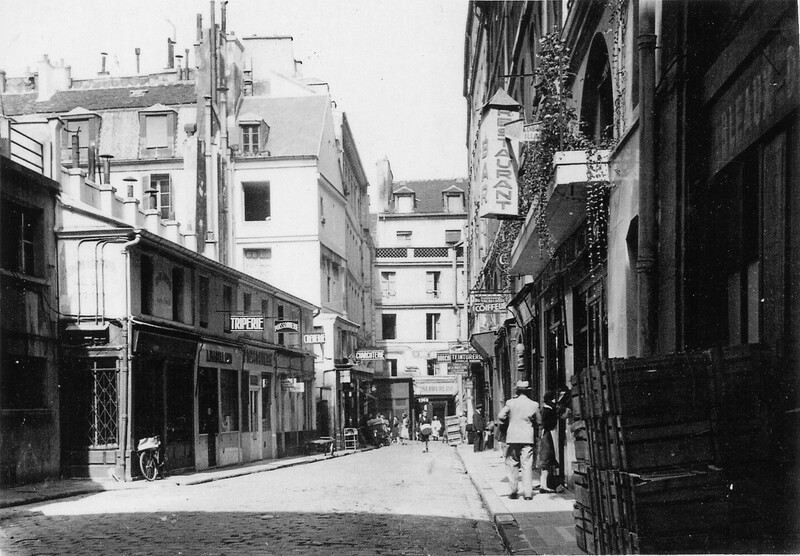 Straightforward terrain, between the Chemin du Rempart (modern-day rue Royale) and the rue de la Magdeleine (today the rue Boissy d’Anglas), with its barracks at the edge of the land. A barracks? Indeed, but not one belonging to any old group, instead to our valiant Musketeers, Louis XIII’s own royal guard! Paris at this time is in full expansion, much like its population: around the Marais district, the nerve centre of a Paris bursting at the seams, where new halls and markets are springing up in its vicinity every day. Yet none in this particular area of Madeleine, itself booming! August 1745: the terrain is transferred. It is decided that a passageway, along the length of the bodyguards’ barracks be created, so that it may in due course receive the numerous stalls of butchers, fishmongers, fruiterers and other victuallers. July 1746: the Aguesseau market is inaugurated! A veritable “village within a town”, it is this booming market, which will set the tone of the local architecture! In 1760 and 1785, the buildings – which today here and there front the extremely beautiful pedestrian thoroughfare of LE VILLAGE ROYAL – rise up, backing onto the barracks. The market prospers in its outstanding way for decades: here we have a spot that is picturesque, typically Parisian and vibrant with colour, which rapidly becomes essential for everybody. 1837: its first reconstruction occurs! 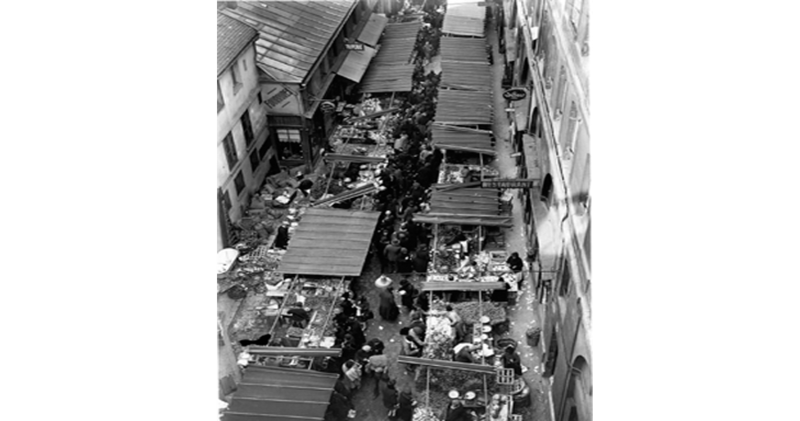 1877: the Aguesseau market, forty years later, becomes the cité Berryer. The passageway changes its name in honour of a prominent politician of his era, a well-known opponent of Napoleon III. Its “village atmosphere” is cutting edge ! A remarkable reconstruction operation starts: across the 8,000m2 of the city, a vast building site is created by the renowned architect, Jean-Jacques Ory. 18 months of works and upgrading to recapture the sparkle of the atmosphere of a typical village road, remodelled to its former glory. All while respecting the listed architectural heritage of its historic monuments. Shops, apartments, offices… the Village’s new face emerges! 1994: this sees the reopening of the site, hereby given its new name of “LE VILLAGE ROYAL”! The place reconnects with its soul. 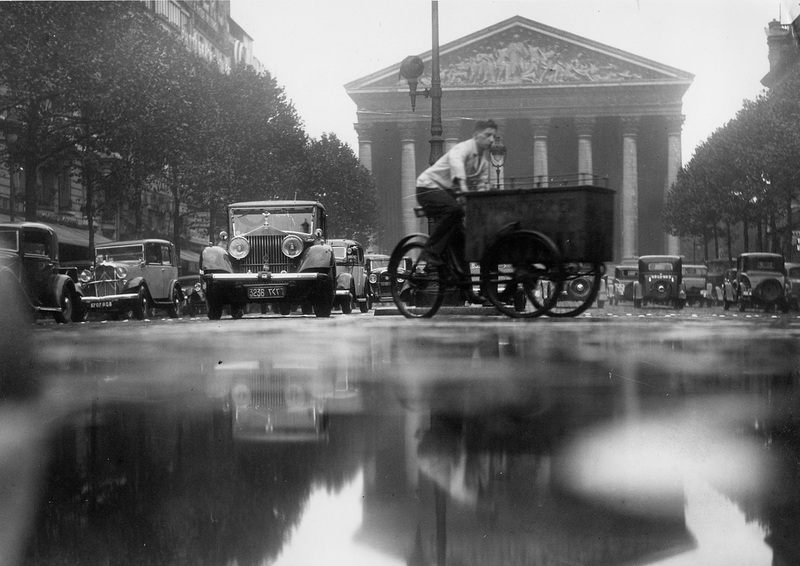 Even today, its historic past inscribes itself with pomp and elegance into the present of the Parisian capital, which never stops living, moving and evolving. The gamble has paid off !